School is back in full swing once again. K-12 schools across the nation have begun their 2016-17 academic calendar this week and next week at the latest, while university starting dates are just around the corner. This can only mean that back to school shopping will be at its height in the coming weeks. 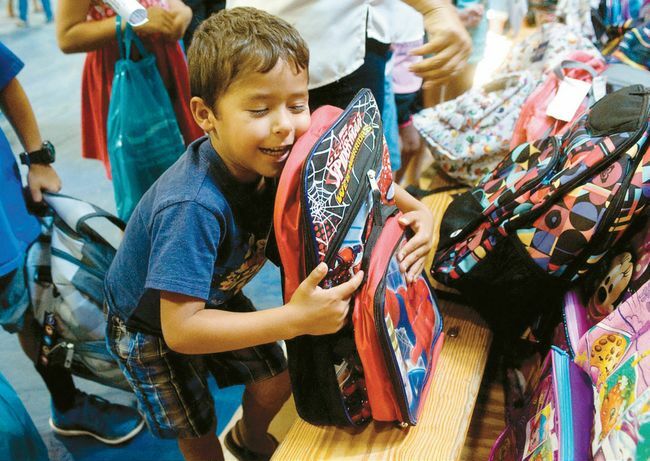 During back to school shopping, parents typically provide everything from new fall clothes to the supplies necessary for their children’s success in the new school year. Lately, however, parents and children are increasingly butting heads when it comes to shopping for school, making for a stressful preparation season. According to a survey conducted by global internet service subsidiary Ebay, parents fear everything from not being able to find what their children want to waiting in long store lines. To be exact, 60% of parents recorded fear that they would not be able to find the items their children desired while 46% of parents fear that their budget would not be able to cover the back to school costs. Around 45% of parents fear having to visit more than one store to purchase what was needed, 44% fear the long lines in stores, and 43% fear disagreeing with their children’s opinions. The study has surveyed 1,024 parents of 501 students for the past 3 years, allowing participants to record multiple responses. The number one item where parents and children opinion differed the most was clothes. Half of the participating parents found their children’s taste in clothes to be perplexing. Around 20% of families disagreed on the type of cellphones to buy, while around 11% disagreed on glasses, 9% on backpacks, and 7% on lunch boxes. In order to reduce stress while back to school shopping, 50% of parents say they shop online, 30% recorded buying clothes and accessorizing them at home, 18% admitted to spending a weekend without their children, and 15% reported bathing for long periods of time. Though shopping may be initially stressful for parents, their reward soon comes in the form of an empty house to themselves for the day. There may even come a time where parents and students may come to miss the crazy back to school shopping time.